Roadtrip weekend! Had a couple of new adventures in the old Legend. On Saturday I delivered a set of wheels to my friend Tommy who met up with me in Indio, California – a short 4 hour drive each way from Phoenix. 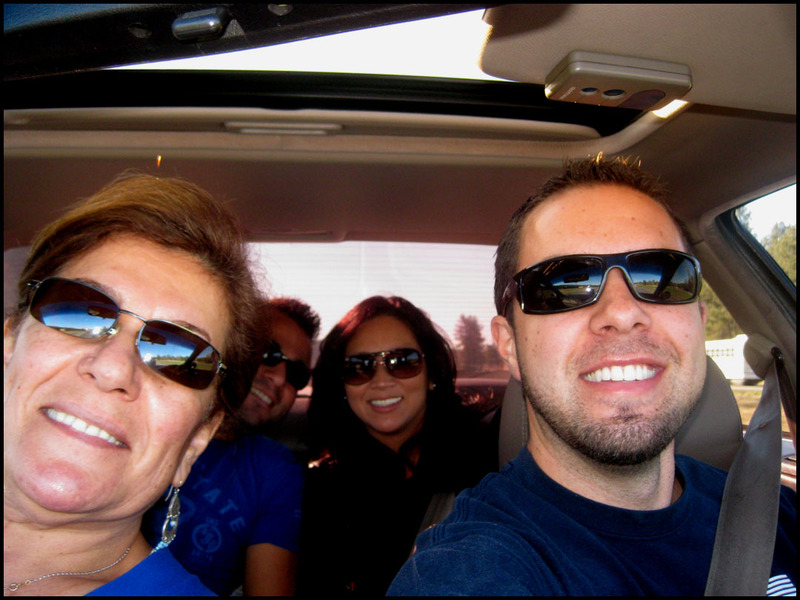 This morning, I picked up 3 friends (Matt, matt’s mom Mahnaz, and Linh) and we headed northbound to the forested mountains of Arizona. The 2 door was surprisingly accommodating for all of us and it made the ascent from Phoenix’s 1,000 feet to Flagstaff’s 7,000 foot elevation without too much complaining. I had to spend a fair amount of time in 5th gear through the 65 mph grades on Interstate 17. From Flag, we motored westbound to the tiny old town of Williams right off I-40. The Grand Canyon Railway took us to the south rim of the park where we enjoyed a few hours of the sights before catching the return southbound train. Visitors from the park appeared to range in background from so many different countries. Those of us who are local take for granted that the park with its 1-mile deep ravines is in our own backyard. By the time we got back to the depot at Williams it was 5:30 p.m. or so, and we squeezed back into the Legend for the 188 mile return trip to the Phoenix area. Home in Scottsdale now and still haven’t fueled up so I’m pushing 400+ miles on this tank and the fuel reserve light still hasn’t illuminated. Not bad! Though the downgrade from FLG-PHX definitely helps aid MPG. Another successful journey and the Ac didn’t skip a beat. 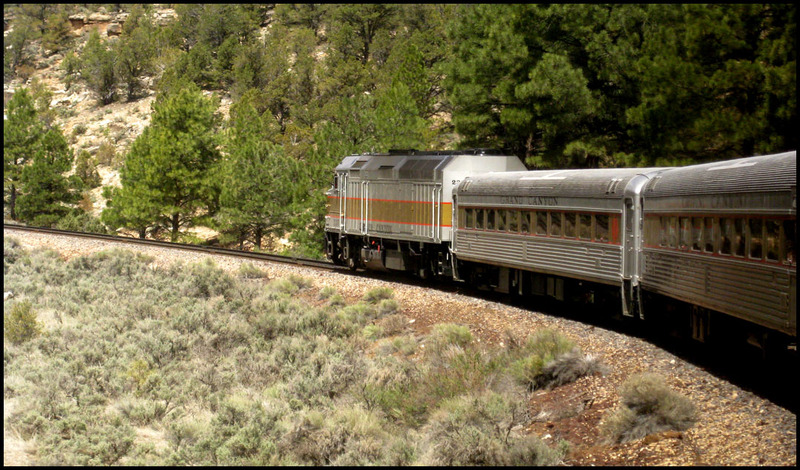 This was our set of wheels for the last leg of the trip to the Grand Canyon: A train operated by the Grand Canyon Railway. Not as nimble as an Acura but a lot more leg room for our party of 4! Finally the obligatory shot of the park today. This entry was posted on May 2, 2011 at 5:06 am and is filed under Arizona, Legend, Road Trip. You can follow any responses to this entry through the RSS 2.0 feed. You can leave a response, or trackback from your own site. Indio on Saturday? Did you see any of the StageCoach Country Music Festival? My daughter goes to school in Long Beach and was in Indio both Saturday and Sunday. I’m sure you saw some of the crowds at a minimum. The Grand Canyon is an awesome sight. It’s something you just have to see. You can’t get the full affect by someone describing it or showing you pictures. It’s deeeeeeep too! I didn’t see the Country Music Festival going on but I know that Indio is a popular venue for concerts. Just last week a friend of mine was out there for a 55,000-person “Big 4” show (Metallica, Slayer, Anthrax, Megadeth). 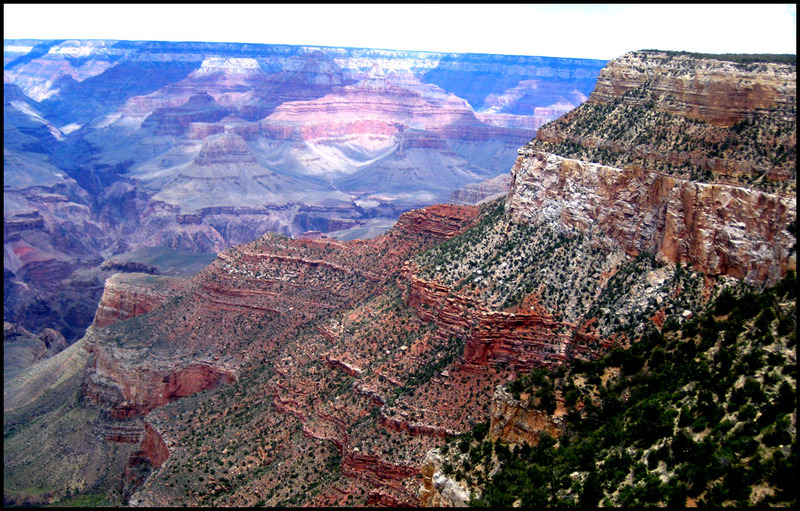 Yes – the Grand Canyon is quite a sight! Enjoyed the quick day trip. Let me know if you ever make it out this way, Duane! Thanks for coming out Saturday. It’s always nice to see ya. You should post up one of the parking lot photos. Haha.